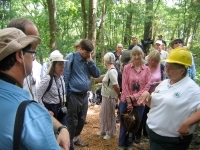 In May, 2011, Mark Wagner (Southern Illinois University, Carbondale) and Heather Carey (Shawnee National Forest) traveled to central Illinois to meet Hal Hassen (Illinois Department of Natural Resource) and Dawn Cobb (Illinois Historic Preservation Agency) to inspect a possible rock art site located on state land near, Pekin, Illinois. 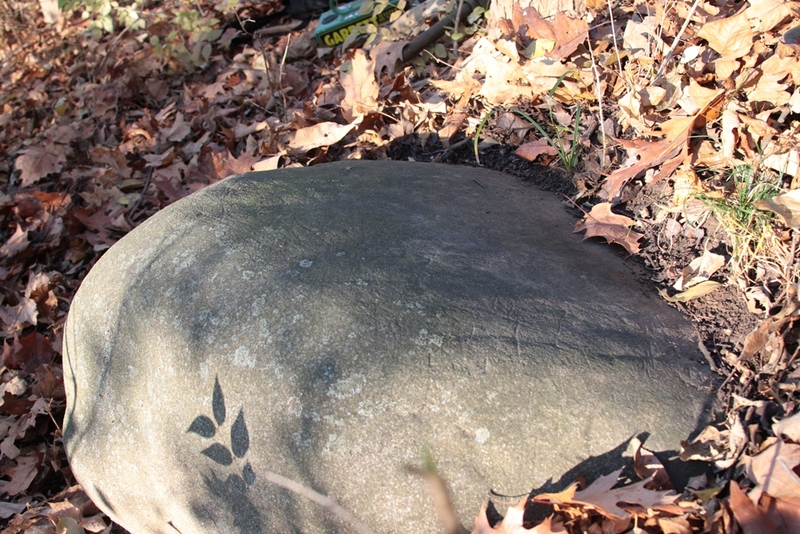 The site had been reported by several local men who stated that they had seen engraved designs on a glacial boulder located on a steep hillside. 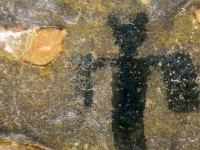 Inspection of the boulder (Figure 1) revealed that it contained at least two finely engraved anthropomorphs, two bird-like images, and a number of engraved lines on the top and sides of the boulder that might represent additional images (Figures 2 and 3). 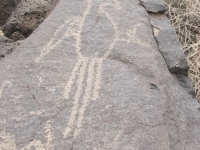 Although the age of the images is unknown, they are dissimilar from prehistoric petroglyphs in the state which typically pecked or ground into the rock face, not engraved. 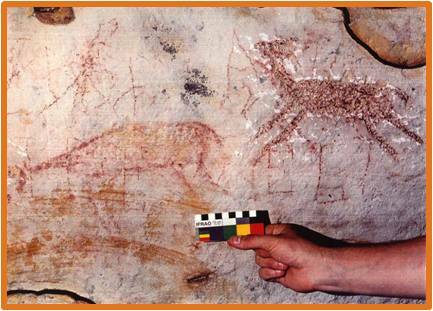 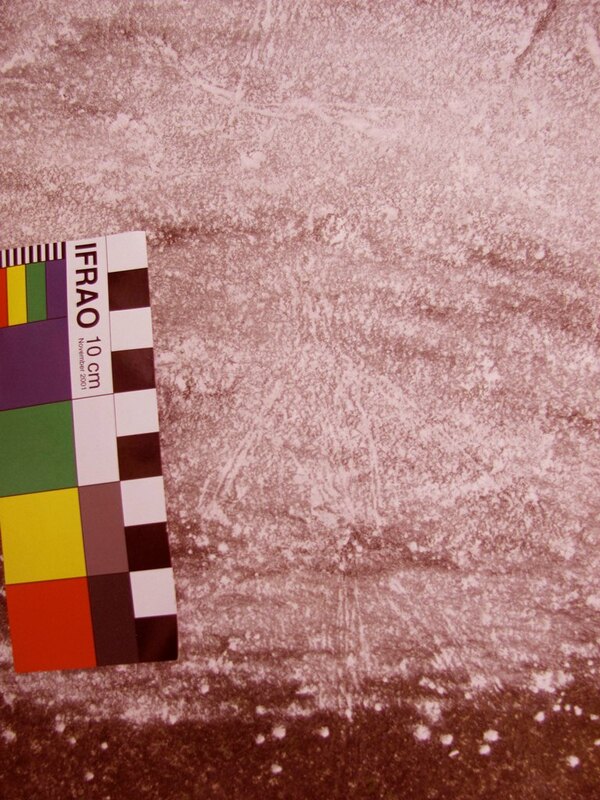 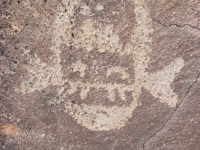 Several lines of evidence indicate that the images may be historic period (post AD 1673) Native American carvings. 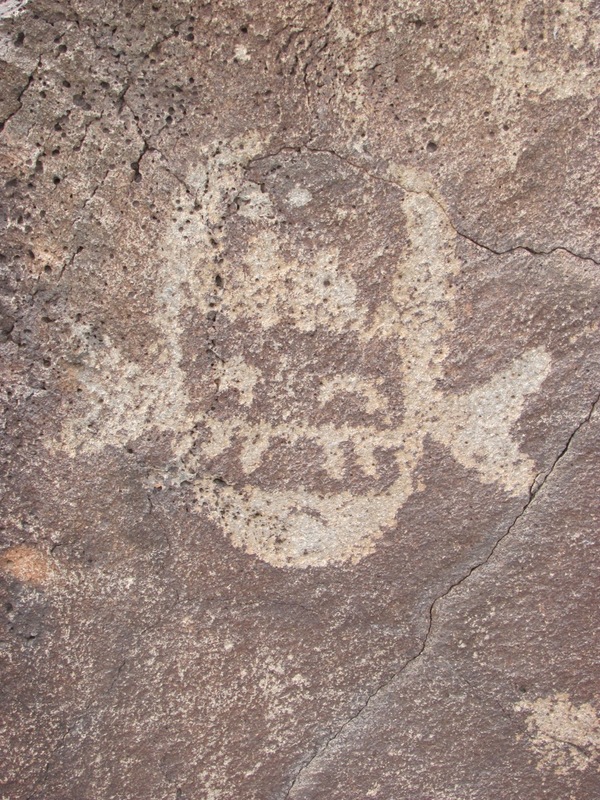 First, the images are so finely engraved that they appear to have been incised in the rock face using metal tools. 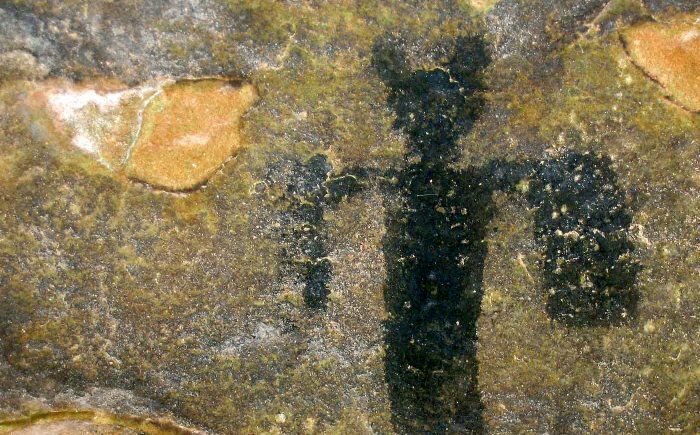 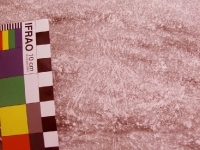 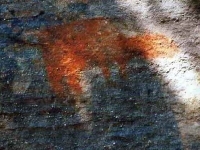 Second, they are stylistically similar to engraved images seen on bone and metal artifacts dating to the proto-historic and historic period in Illinois. 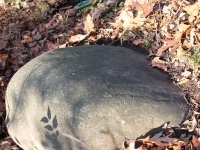 Third, the hill side containing the boulder is located adjacent to a river floodplain that reportedly contains a late eighteenth/early nineteenth century Potawatomi settlement. 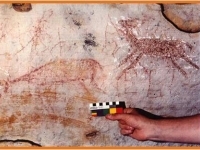 This does not indicate that the carvings are necessarily Potawatomi in origin, however, as these and other late eighteenth to early nineteenth century Native American peoples in central and northern Illinois often situated their villages on ones formerly occupied by the Illini prior to 1760. 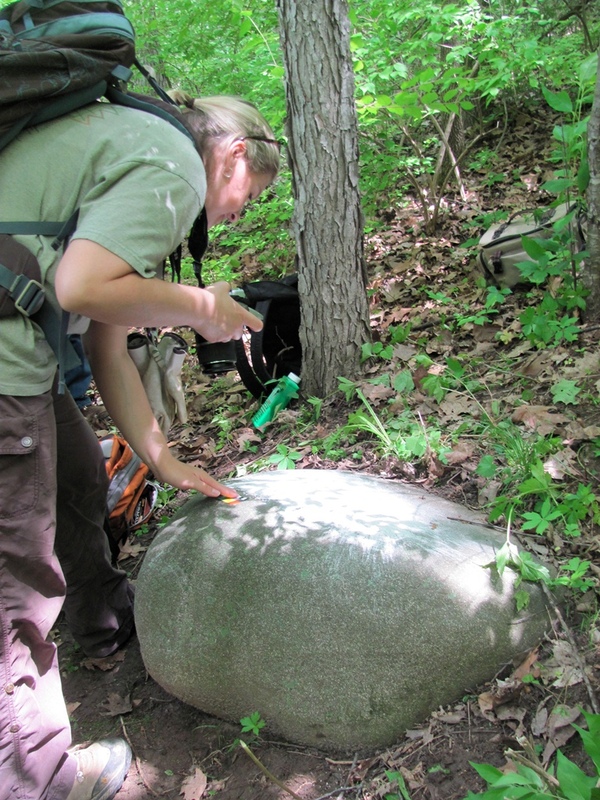 IDNR and SIU archaeologists are tentatively planning to record the boulder in detail at some point this fall using a combination of mapping and side-light flash photography at night to illuminate the designs on the boulder. 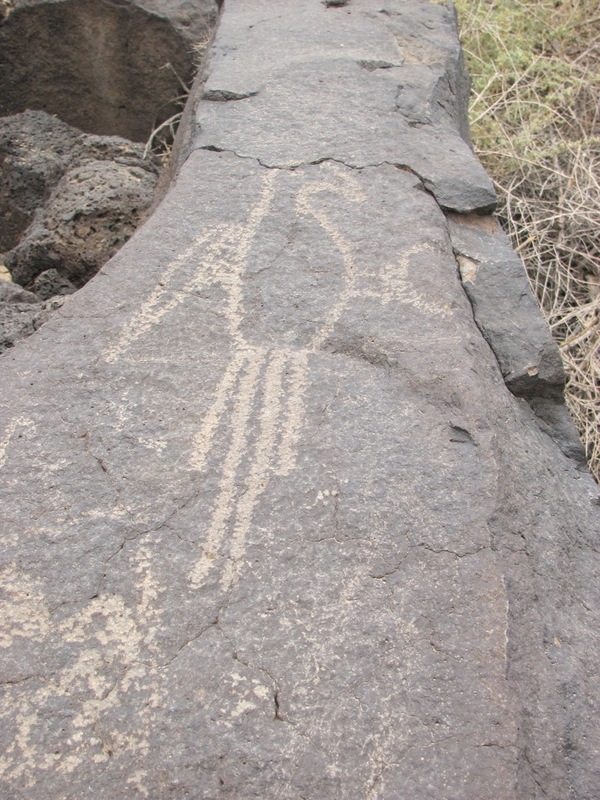 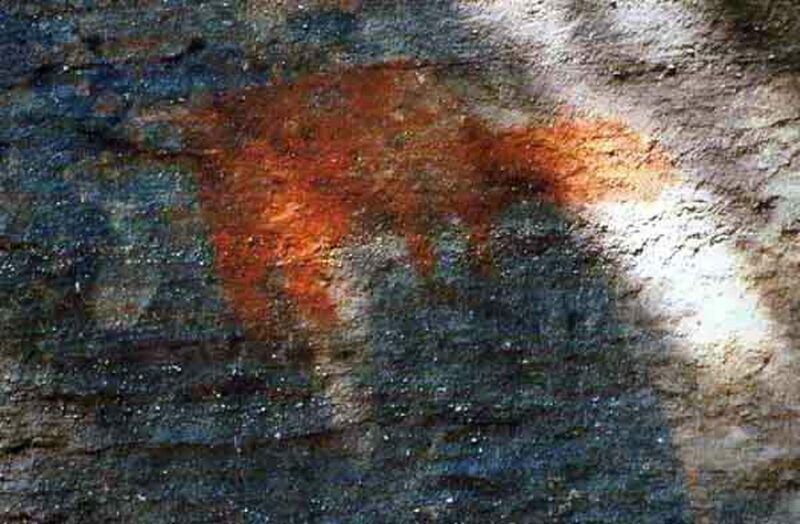 If the designs indeed do date to the post-1673 historic period, this will be only the third historic period Native American rock art site recorded in the state and the first petroglyph (as opposed to a pictograph) site dating to that period.